Welcome back to Friday's Furniture Fix! We're so glad you're here! Thank you to all of you who shared your furniture makeovers with us this past week! There's a whole lot of wood and neutrals today to inspire you. This week's host is Lucy. Here are our favorites for this week! 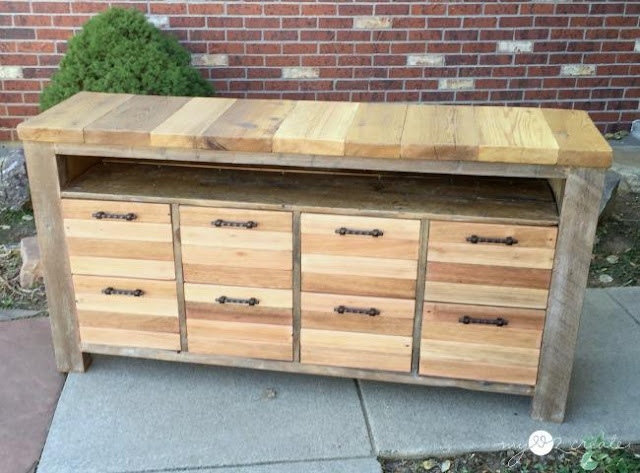 I'm in love with the rustic awesomness of this Reclaimed Wood Media Console by My Love 2 Create. Can you believe that she built it from scratch!!! She shares her plans on her blog so that if so inclined you could make one yourself. I need more power tools! 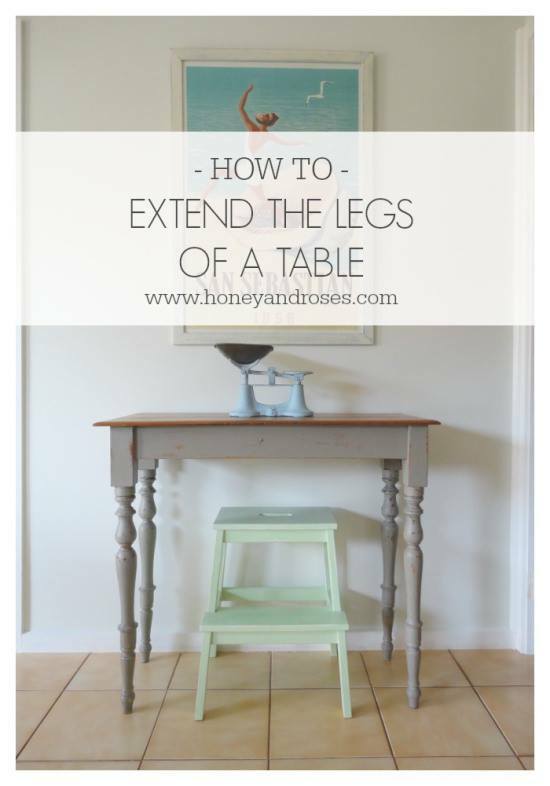 Honey and Roses shares how she extended the legs on this little Farmhouse Table. I totally thought they were the original gorgeous spindled legs! And she even shares what she would have done differently. 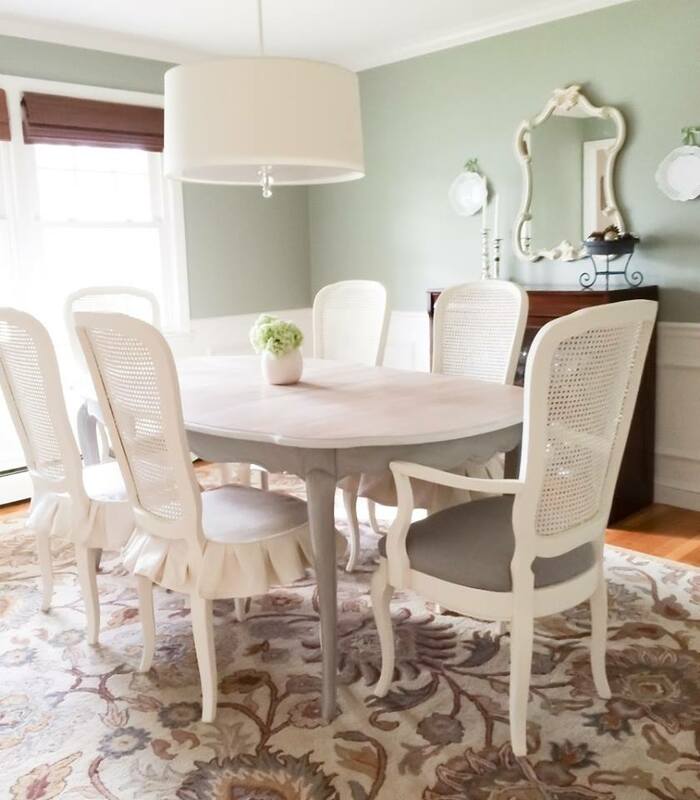 Ally and her husband from Mr. Wilson and Me gave their French Provincial Table and Chairs a pretty and fresh update with paint. The chair skirts were made using drop-cloths. So simple and yet so elegant! The table looks beautiful set for Christmas! And D.D. 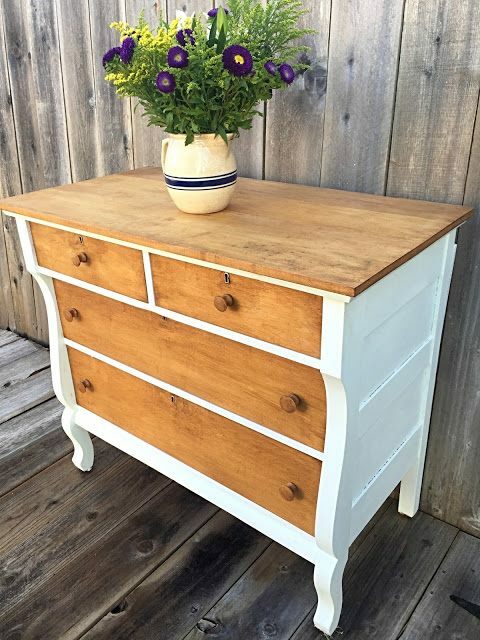 's Cottage has worked her usual magic on this vintage dresser... Just love the contrast of the white and the wood! The most viewed piece was this gorgeous China Cabinet makeover by Orphans With MakeUp. 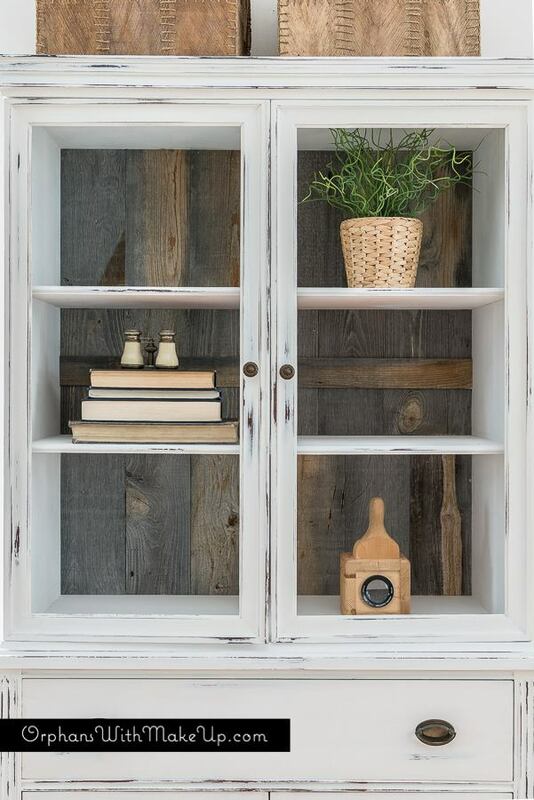 Just look at that salvaged wood backing! It's a stick and peal product called Stikwood!!! I can think of a ton of projects I could use it on, how about you!? Thanks again to all of you who participated in last week's Friday's Furniture Fix! We can't wait to see what you have for us this weekend!